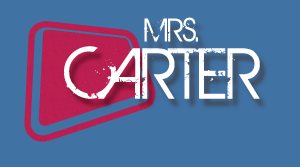 Mrs. Carter: What were the 5 best TV weddings of 2017? As we get near the end of the year, it feels like the right time to talk about some of our favorite wedding moments. There were several memorable ceremonies this year between characters — and for some relationships, it was the payoff of several long years of building. The best romances are often ones that are predicated on drama and on things going wrong for some various characters to finally get to that end goal – marriage! What these ceremonies effectively represent are opportunities to see good things happen to characters that have been on a long journey to this celebrated moment. Check out our full list of the top weddings below. 1. 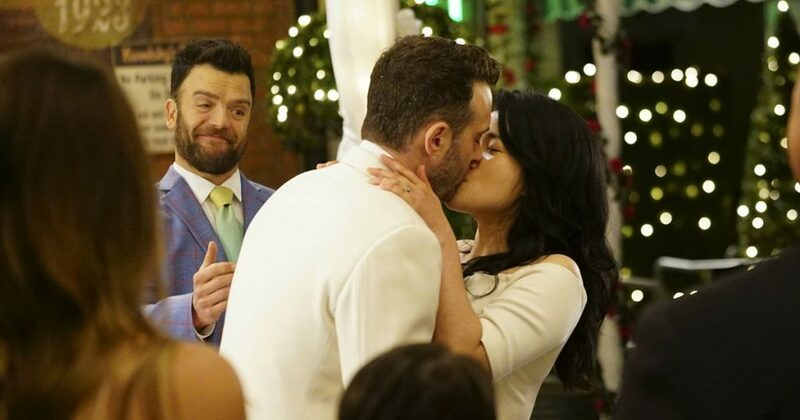 Happy and Toby, Scorpion – The one thing that makes the image of the “Quintis” wedding above better is what may be one of the best photo-bombs of the entire year as well. Happy and Toby started the show off as unlikely lovers, two people from very different backgrounds and with different personalities. One of the things that they most had in common was their love of Team Scorpion and each other. That is enough to carry the day for the two of them. 2. Sharon and Andy, Major Crimes – After years of wondering if the two would eventually tie the knot, the couple otherwise known as Shandy got together during season 6. We won’t spoil the end of their story here in this article, but this moment was a beautiful chance to celebrate a different sort of love story than one you typically see on television. It felt organic and genuine; through that, it actually felt more special than the majority of the ceremonies that you see through this medium. 3. Hook and Emma, Once Upon a Time – The Captain Swan ceremony was a culmination of almost everything at the end of season 6. This represented the complete reformation of a roguish pirate into a devoted husband, and it offered an opportunity for Emma to realize that everything that once felt so distant from her could be reality. Within the Once Upon a Time world this does represent a happily ever after for the two. It helped mark the end of their story on the show, but certainly isn’t the end of their love story together. 4. Barry and Iris, The Flash – How do you find a way to make two characters’ relationship meaningful when so many people knew the outcome from the jump? That was one of the struggles for The Flash from the beginning, but through the ups and downs of WestAllen the show figured it out. As beautiful as the wedding ceremony for the two was for them at the start of the Crisis on Earth-X crossover it made sense that this actually wasn’t when the two tied the knot. They had their moment near the end of the episode in a small, intimate setting. 5. Oliver and Felicity, Arrow – While we know the circumstances surrounding their actual ceremony were polarizing, their reception after the Crisis on Earth-X ceremony was awesome. We like to think of that as their real celebration of love and the journey that got these two in this place. Part of the fun with Olicity is how the entire thing came about — when Emily Bett Rickards first came on the show in season 1, it was meant to be a small recurring role that turned into so much more. Now, Felicity’s an essential part of the show and her relationship with Oliver is one of the significant grounding forces in his life. What do you think had the best TV wedding of 2017? Be sure to share now in the comments below!